2D1N Soju Bang Korean Restaurant, Singapore. Address: 46 Tanjong Pagar Rd #01-01, Singapore 088467. When I search for the address of this restaurant to write up the blog, I came to know 2D1N Soju Bang and Ssikekk are under the same owner. I am not sure whether the second floor still have the Ssikekk restaurant which serves buffet style Korean BBQ since I do not explore up to 2nd floor. 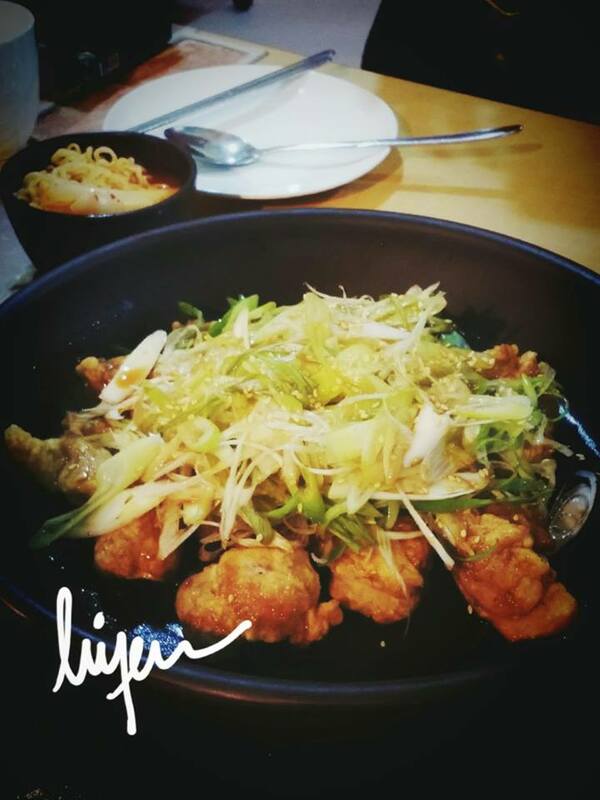 The 2D1N Soju Bang serves ala-carte Korean BBQ. Both of them are equally nice. Today, I am here to try the ala-carte menu in which four of us ordered a few things to try along side with their side dishes. We order the fried chicken with spring onions, steamed egg and a pot of the army stew. They serve us with six side dishes and it is refillable. The army stew has few selections to choose and we go for pork meat. They assist us to cook the army stew and refill the soup once as it is drying while we are eating. 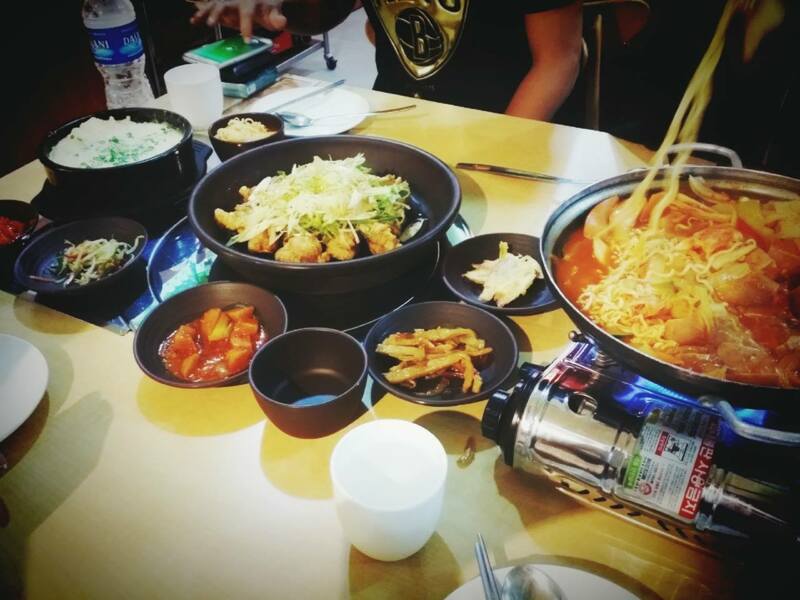 The ingredients in the army stew pot are quite generous and we add more kimchi into the soup to bring up the taste. Personally, I like their soup based from the army stew, add with kimchi is even better and the fried chicken which is still crispy after it has been served a while ago. During the weekday, they offer set lunch as well. You can drop by to make a simple set meal too.